Nine-Niners the day has finally arrived. The first episode of season six of Brooklyn Nine-Nine is airing tonight (January 10) and we honestly can’t wait. 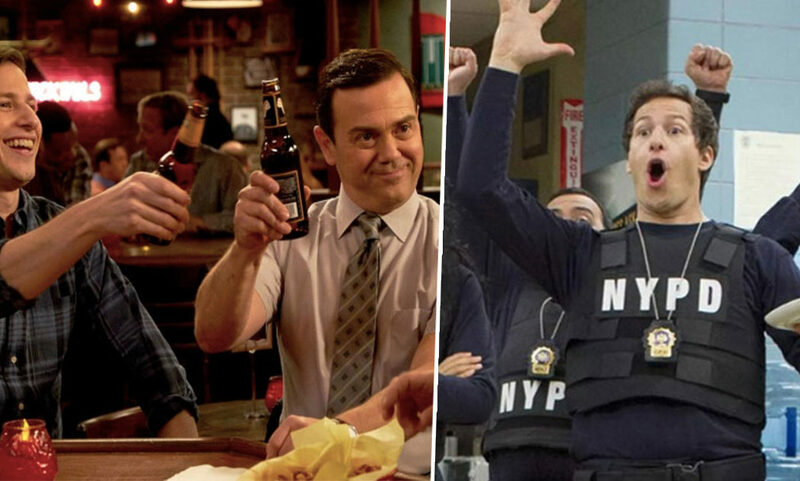 Jake Peralta and the rest of the Nine-Nine are back on our screens but this time on NBC after Fox famously cancelled the hit show early last year. As well as a new channel, the show also has a different time slot as it will now air at 9pm in most American time zones, the slot previously occupied by the Will and Grace revival. NBC teased fans with a glimpse of what to expect from the highly anticipated sixth season with a hilarious trailer in December. A brilliant parody of action blockbuster Die Hard, which all Nine-Niners know is Jake’s all-time favourite movie, we know we are in for a treat tonight. Since the trailer is a parody, it doesn’t give us any clues as to what we can really expect from the next season except perhaps more mayhem and action. It certainly doesn’t mention whether Holt got the NYPD commissioner job following the tense cliffhanger at the end of season five. During the season’s finale while the Nine-Nine toasts Jake and Amy following their wedding, Holt receives the email he has been waiting for telling him whether he got the position. And while he does open it on-screen, Holt’s ever expressionless face means we really have no idea whether he got it. 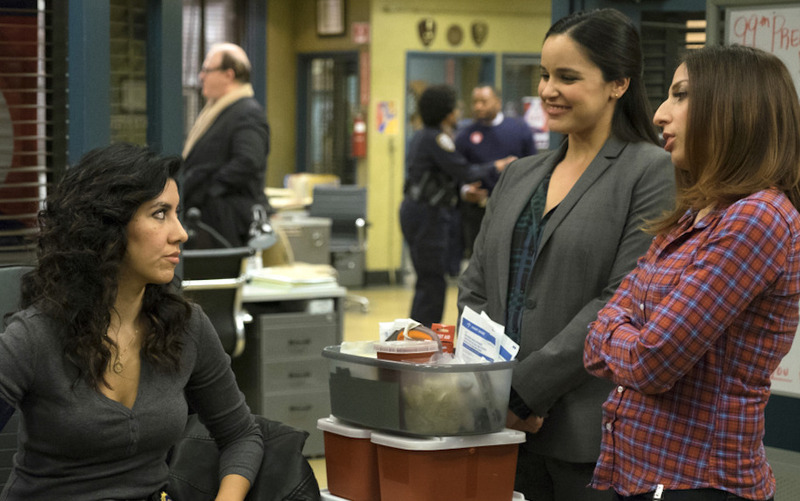 One thing we do know to expect from season six is an episode focusing on Melissa Fumero’s Amy and #MeToo which also marks the directorial debut of co-star Stephanie Beatriz who plays Rosa Diaz. Speaking to TVLine about the upcoming episode, Fumero explained how it was important to her having Beatriz at the helm, especially because of the nature of the issues the episode was addressing. I’ve never done an episode like this. You see a side of her [Amy] that you’ve never seen before. I think it would have been nerve-wracking if it had been someone else, or someone I didn’t know [directing]. It was really wonderful to have my friend directing, where we already have a shorthand… It was so amazing to just have that trust, to feel protected and safe. Brooklyn Nine-Nine has never shied away from addressing serious issues – some considered taboo – in relation to race, gender and sexuality. With one of the most diverse casts seen on television, the show celebrates diversity and identity being praised in particular for its excellent representation of LGBT characters. In the episode Moo-Moo the show addressed the issue of racial profiling and triumphed, getting very real about something constantly hitting the headlines, predominantly of American newspapers. All this gives me hope the show will be sensitive dealing with the #MeToo episode. Brooklyn Nine-Nine will be air on NBC in America January 10 at 9/8c.